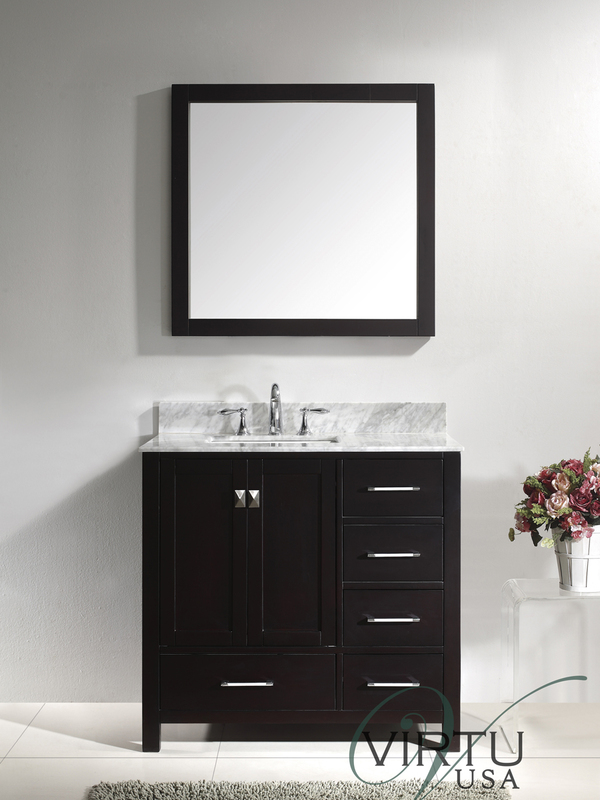 The 37" Caroline Avenue Single Vanity gives you a different approach from the other Caroline Avenue Vanity Collection. 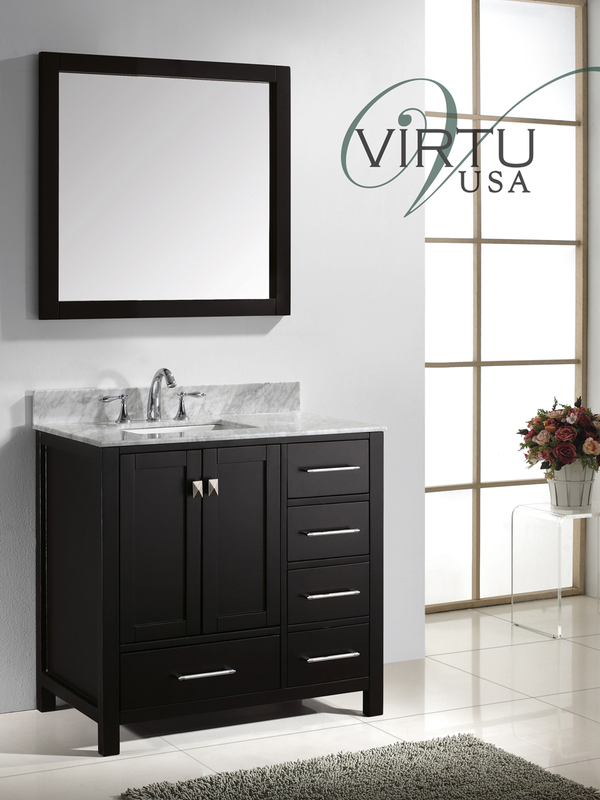 The beautifully Espresso finished cabinet is made from a sturdy solid oak and is topped with an Italian Carrera White Marble top, all complimented by Brushed Nickel hardware that gives the entire vanity a subtle modern appeal. 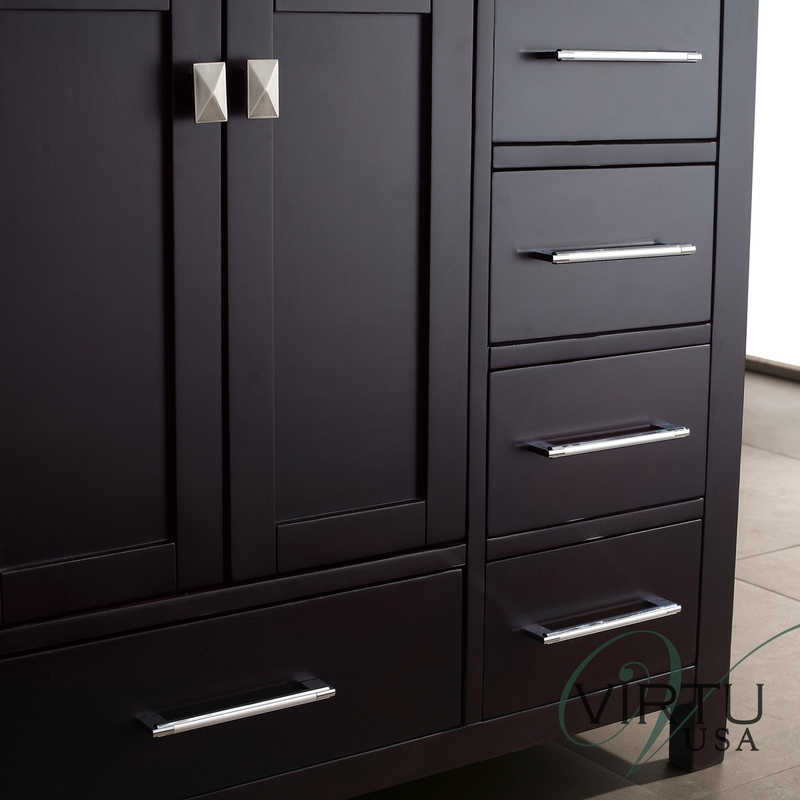 The simple frame-like design adds a touch of traditional sophistication into the mix, while the soft-closing drawers and cabinet doors offer a modern take on long lasting storage options. 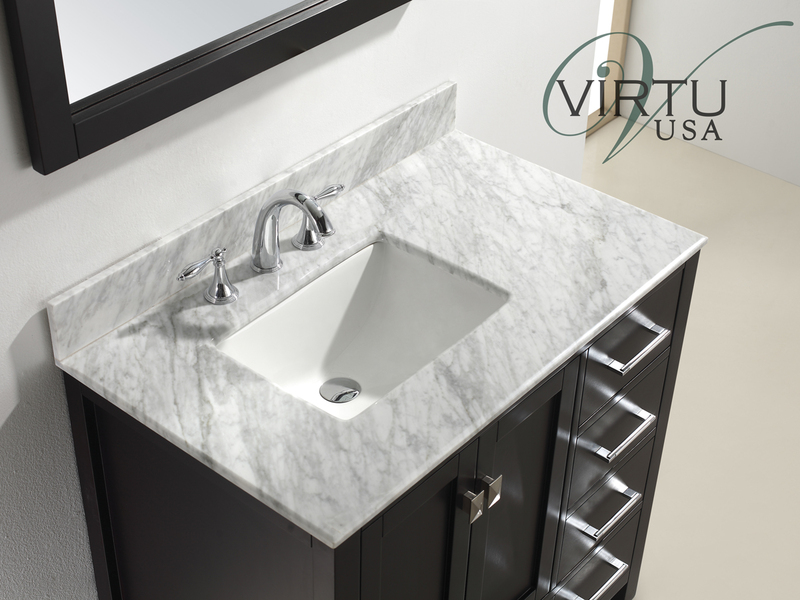 This beautiful vanity also comes with a ceramic sink and matching mirror. 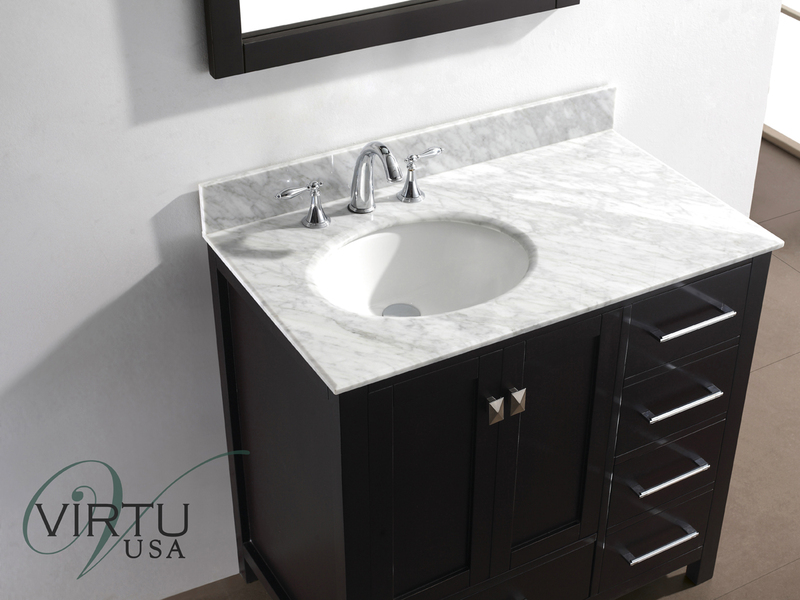 The sink hole can be cut to be round or squared.